TORONTO, ON., (February 11, 2015) – The “i” stands for individuality and intriguing. The “M” represents modern, multifaceted and magnetic. Put them together and it spells passionate excitement at the Scion booth during this year’s Canadian International Auto Show (CIAS). 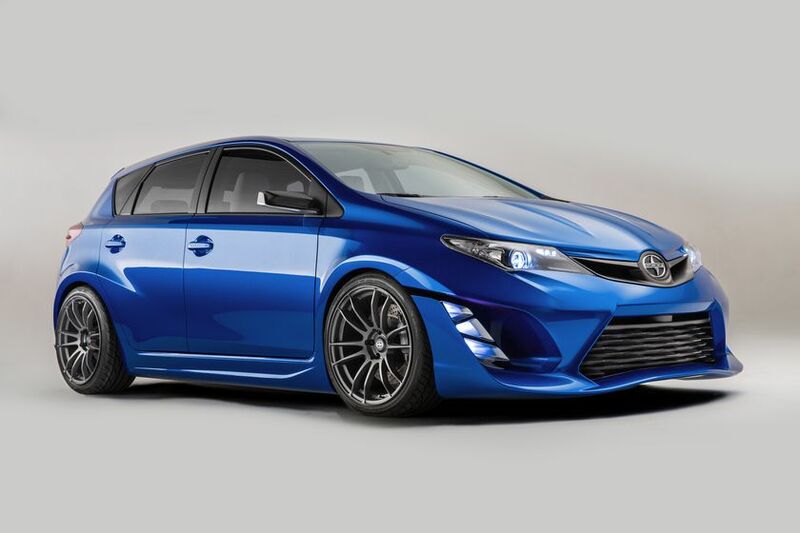 The Scion iM concept car is making its Canadian premiere at this year’s show. It’s a sleek, fun and versatile five-door compact hatchback that will inspire the production version of the iM arriving in dealerships later this year. Striking visually with its wide stance and low ride height – and topped off by a stunning paint colour called “Incredi-blue” – the iM concept features front and rear bumper overhangs to create dynamic surfaces. It also incorporates geometric grille inserts, deep air intakes and fog lights. In addition, large 19-inch forged alloy wheels sit flush with the body while vented rotors with 4-piston calipers work with an adjustable-height racing suspension. The iM also boasts excellent fuel efficiency, sporty handling, easy parking and loads of cargo room. CIAS visitors can see the iM in the Scion booth located on the 800 Level of the South Building at the Metro Toronto Convention Centre (MTCC). The show runs February 13-22. Scion is the exclusive Canadian distributor of Scion tC, xB, iQ and FR-S vehicles through a sales and service network of 91 dealerships across Canada. All Scions come fully loaded with many standard features including Scion’s Star Safety System. Backed by Toyota, Scion is built by passion and dedicated to quality, style and performance. Find out what moves you at www.scion.ca or www.facebook.com/scioncanada.